Next candidate is available. I'll post OSX binaries on Monday. 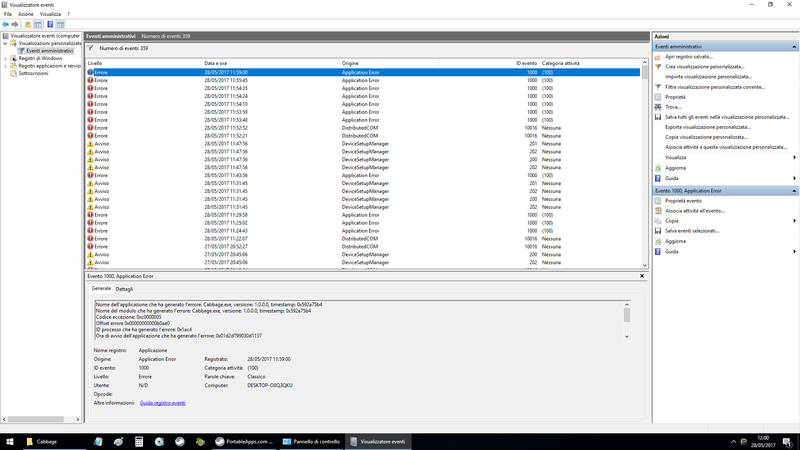 I've been having some issues building Csound on Windows lately, so I'm afraid you'll have to use this Windows version with the latest Csound installer available here. Just rename your old Cabbage dir. and place the files in this zip anywhere you like, but make sure you keep them all in the same folder. 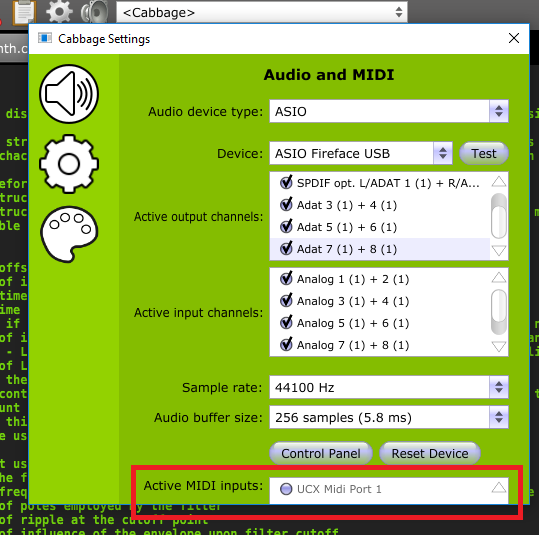 If Csound installed properly then it should run fine. I've tested it here and had no issues. 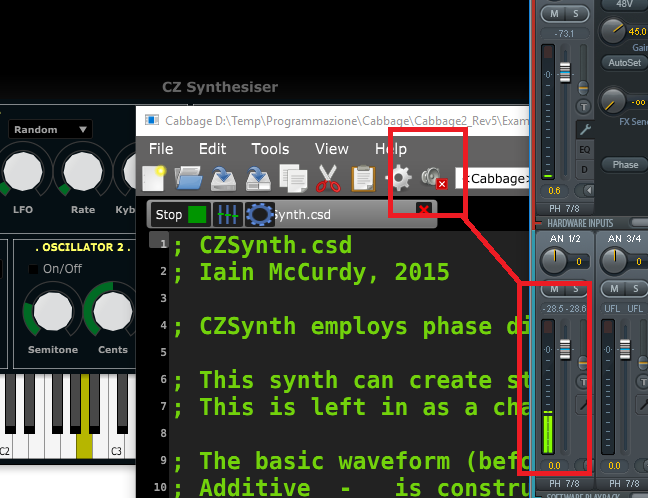 Cabbage Win64 27th May - Don't forget to install Csound 6.09 first! Cabbage OSX 31th May - works over existing Cabbage install.. I hope it may have been useful to you.. Thanks. I need to give some more love to the Windows version! 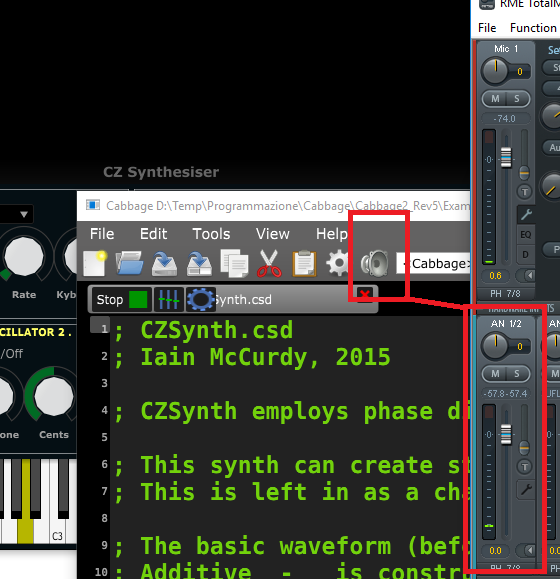 New drag n'drop .csd/.cabbage files in the Cabbage editor window, is possible? You mean drag from say the desktop? Simply drag this file and drop it into the Cabbage editor for open it.... is possible in the future? I think so. I'll take a look. They are working fine for me, although the Cabbage manual does produce a script error. Are you sure that the Docs folder is in the same dir as Cabbage.exe? True, but it is not an instrument mute. It mutes the entire system, meaning it mutes the audio graph. To mute an instrument you must stop it using the file tab buttons. Btw, I'm not entirely sure I like how I have set that up. I think it may need a revsit. I've uploaded a new windows binary with fixes for the above. 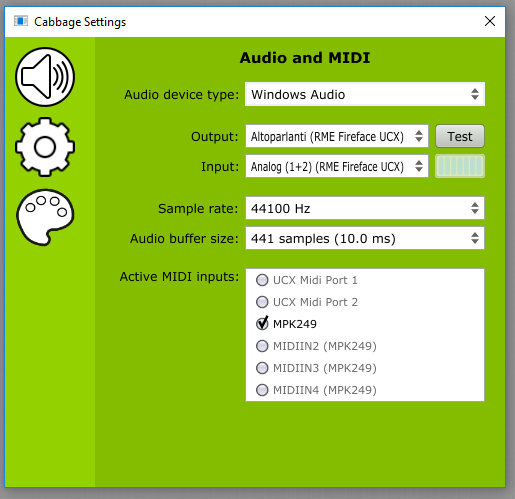 I still can't get the help buttons to crash Cabbage though..
From new fresh install : Win 10-64b, new Csound 6.09, only cabbage 2 beta (cabbage 1 removed) in Directory, TestCsoundFile.exe crashes. Cabbage is the only thing that should run this .exe. Did you try to run it manually? I've associated html to firefox portable ... I think the problem depends on this... what do you say? PS: in the Cabbage2_v6 directory are presents: Docs and Examples folders. You can browse for the Csound manual from the Settings dialogue. I haven't included it with the current beta zip, but will do so in the future. The new version of Cabbage should open its own html help browser and not an external one as was the case before. Therefore I'm not sure why this is crashing for you. Therefore I'm not sure why this is crashing for you. That's odd. I'll take a look, perhaps the GUI framework I'm using has some issues. I'll check there forums. The cursor position doesn't follow-scroll when typing beyond the right-hand limit of the editor window. When moving the cursor with the arrow keys, follow-scrolling works fine however. GUIs with Pop-ups automatically pop-up their pop-ups when their csd is started. Can you have a look at the 'replace' function? Sometimes it just doesn't appear, sometimes it causes a freeze. Calling up the 'find' box does seem to work, but is there a way of hiding it? The only way seems to be to close the csd that was in focus when it was called and after that it is stuck on the Cabbage 2 canvas, underneath any other open csds. 'Find' also seem to cause crashes from time to time. GEN02 with gentable, used to form a row of checkboxes seems broken. Can you have a look at the Cellular Automata example? Can you remind me how to alter the fill opacity for gentable? I can't seem to find the relevant identifier in the docs. Just hit Escape and it should hide it. If your doesn't, then I suspect that the file I uploaded yesterday doesn't have the recent fix to gentables? True, and kind of annoying! On a related note, it seems that JUCE no longer permits multiple parameters to have the same parameter name. What this means is using several widgets with the same channel name now causes some issues. I will take a look and see if I can fix it, but it may mean this is no longer permissible. The table colours are set using the tablecolour:N() identifier. I apologise for the poor state of the docs. The current docs can always be found here. Must be a mac thing. I'll take a look. My cellular automata looks the same as yours in Cabbage 2, but checkboxes should be turning on and off and some should be turn on and off-able. Try the same example with Cabbage 1 and you should see what I mean. What I'm after with gentable is a solid opaque table line but with a translucent, not solid, fill as used to be default with Cabbage 1. Are you sure there isn't a top secret identifier not yet in the latest docs? Esc with 'find', thanks. I thought I'd tried that. I suspect it's still a fragile feature though. Widgets with the same channel name not being allowed is a bit unfortunate.